This is perfect for a boho or tipi wedding and will be the perfect first glimpse into a wedding where bold colours are key. Digitally printed on 270gsm Bright White Colorplan board. 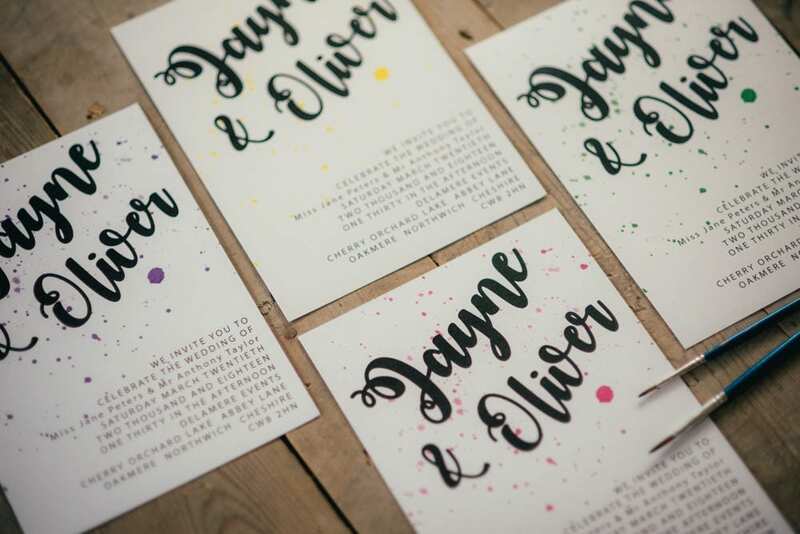 It is A6 printed to one side only in black font with a choice of bright colours for the splatter background. My logo will be printed on the reverse of the card. 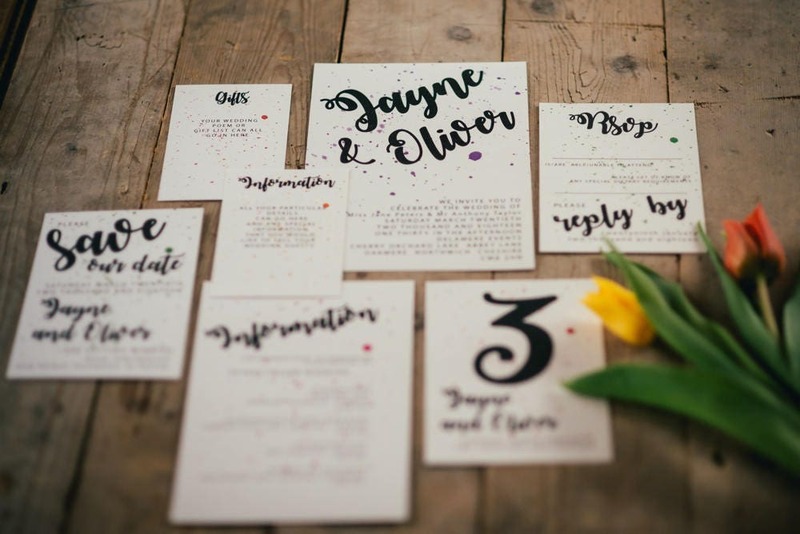 As you checkout, in the comments section please write the words EXACTLY AS YOU WANT THEM WRITTEN on your stationery, and let me have your the email address that you would like me to send the proofs to. Once I have this I will get to work customising your Save the Date cards and will email you a Digital Proof within 1-2 working business days. If you then have any edits, I will make those changes and email you and updated proof. Your order includes 3 rounds of PDF proofs. The first round of proofs will be emailed to you after you have submitted your wording. You may request changes two additional times, resulting in two additional sets of proofs. Each additional set of proofs after the initial 3 sets will cost £15.00. Once you have approved the proof I will begin the printing process and production. This will take 4-6 business days. I will then post out your Save the date cards and envelopes. This typically will be 1-2 weeks after your order was initially placed. WHAT'S INCLUDED IN THE PROOFING PROCESS? WHAT'S NOT INCLUDED IN THE PROOFING PROCESS? 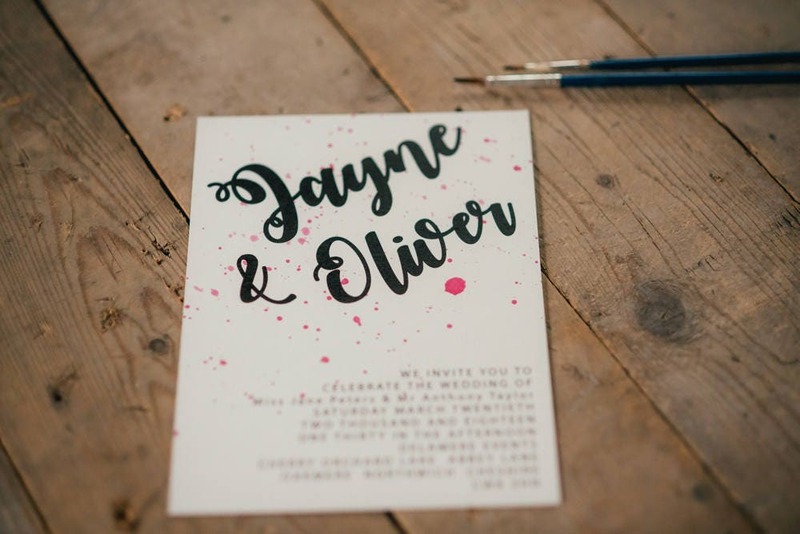 Hattie Boo Designs is not responsible for errors on printed stationery that were approved during the proofing process, so be sure to check your proofs carefully for spellings, punctuation, capitalisation and grammar. I am happy to reprint your stationery at a discounted rate in the case of an error discovered upon delivery. 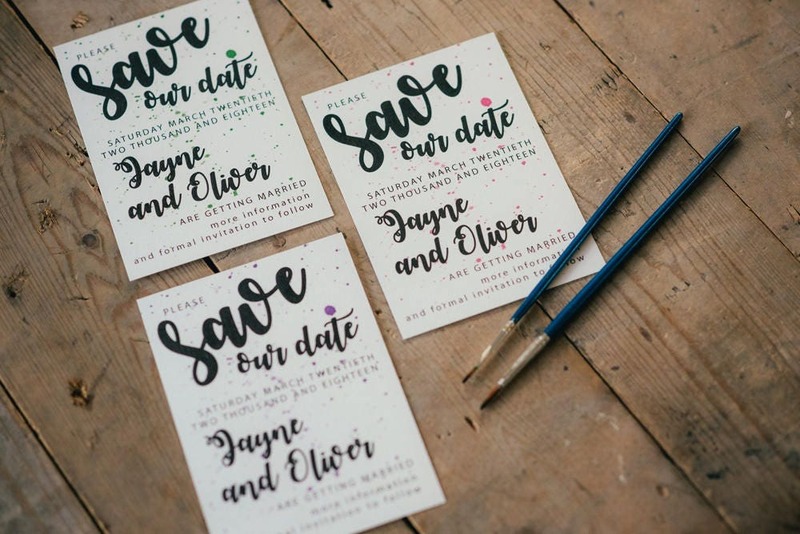 For customised stationery that requires proofs, such as wedding invitations, save the dates, menus, programs or personalized place cards, there is a cancellation fee of 25% or £100, whichever is greater if you cancel your order after your proofs have been emailed. 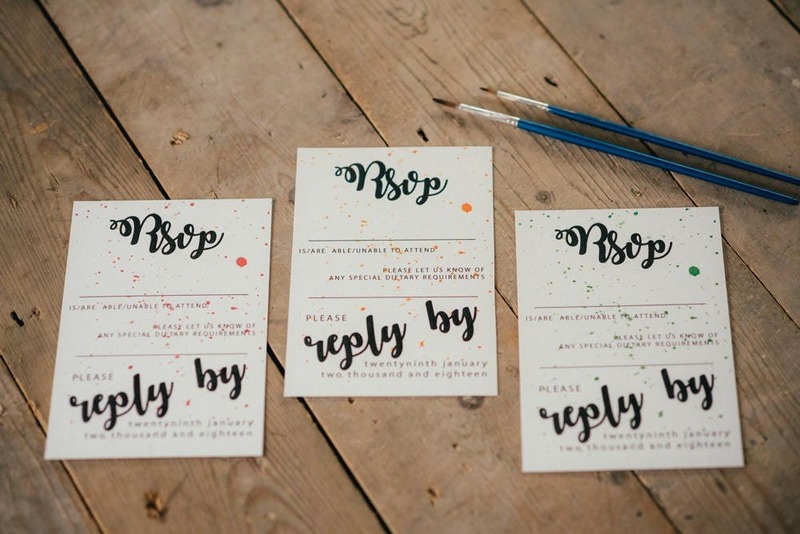 Personalised thank you cards are subject to a £25 cancellation fee. I charge a cancellation fee because of the time spent creating your customised proofs. When you place an order and commit to using my service, I immediately begin working on your proofs. The design process is included in the pricing of my stationery and after it has been completed we cannot refund that part of the cost.